Refurbishment of the Park Café in Bled in the spring of 2019. Refurbishment of Hotel Park in Bled in the autumn of 2019. Additional houses and landscaping work in Ajda Prekmurje Village, Terme 3000 – Moravske Toplice; the work will be completed before the start of the 2019 summer season. Refurbishment of the Ajda Restaurant, Terme 3000 – Moravske Toplice. Planned opening in the spring of 2020. 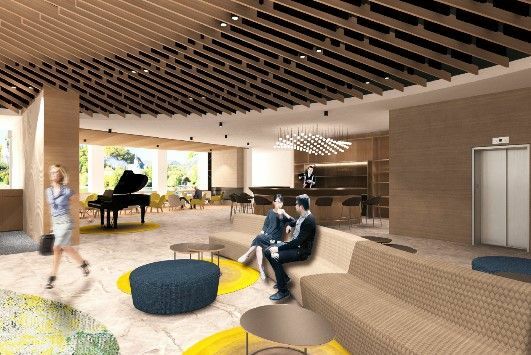 Renovation of the Drinking Lounge in Zdravilišče Radenci, which will come to life in the spring of 2019. At the beginning of 2019, we completed the urgently required roof renovation at the Park Café in Bled, and in mid-January we started refurbishing the interior of the Park Café, which will include a complete refurbishment of the café’s interior. 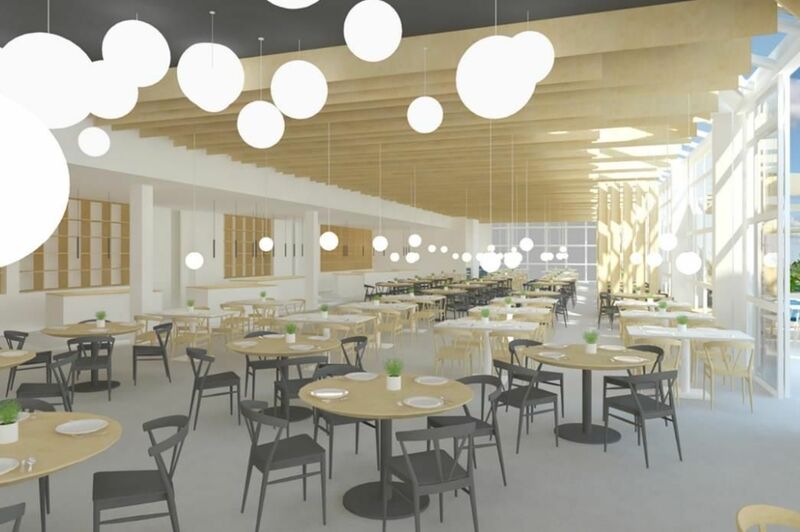 The Park Café will get the appearance of a modern, fresh café with a touch of the local feel, while also being adapted to the international guests visiting Bled. With the refurbishment, the “sweet queen of Bled”, the unique original Bled cream cake, will get a refreshed and refurbished home. 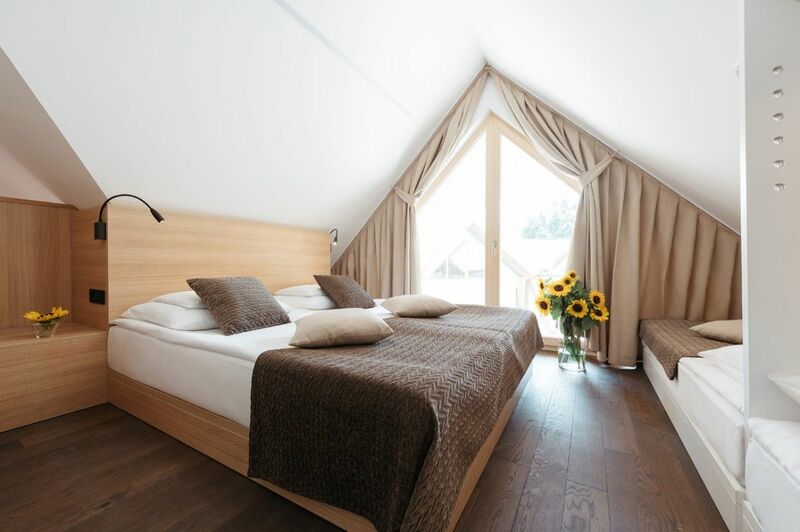 Come spring, the guests will be able to enjoy local and international cuisine in an attractive and refurbished atmosphere, with the most beautiful view of Lake Bled, the island, and the castle. The refurbishment of Hotel Park will start in the autumn of 2019 and will be completed in the spring of 2020. The refurbishment will include the refurbishment of rooms, halls, reception, hotel lobby, and restaurant. With the planned refurbishment, Hotel Park will get a new story – a story of water and the park. The story of water, depicting the source of life, Lake Bled, and the thermal spring in Bled, will be included in the architectural design of the rooms overlooking Lake Bled, the common areas, and the entire offer of the refurbished hotel. The second part of the story is that of the park hosting the hotel and whose name it holds. The park opposite Lake Bled will be refurbished, and its story presented through the rooms overlooking the park. In 2019, we will additionally refurbish the remaining houses in the Ajda Prekmurje Village, and do landscaping work. The modern design houses, in the typical style of the Prekmurje region with plenty of wood and glass surfaces, will receive various extras or elements which will offer guests a simple and carefree stay in nature with the comforts of home. The landscaping work at Ajda Prekmurje Village will focus on the even better well-being and more comfortable stay for guests, and will include the creation of the Prekmurje Barefoot Trail for relaxation, a children’s playground for fun and educational games for the youngest guests, with a side area for parents who wish to keep an eye on their children, and work on the terraces behind the houses. At the end of 2019, we will start refurbishing the hotel restaurant of Hotel Ajda. The restaurant will continue the story of buckwheat, the golden thread of Hotel Ajda. 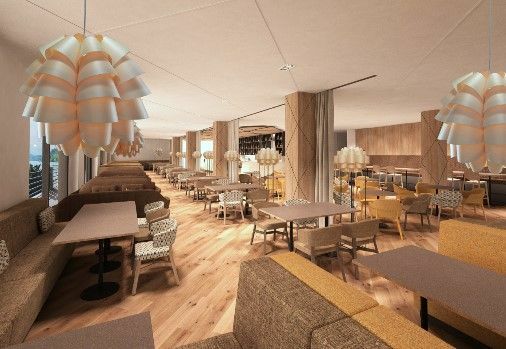 The refurbishment will bring the restaurant freshness, views of the Prekmurje countryside and golf course, a contemporary feel, with a large terrace to enjoy the Prekmurje sun, more seating for guests, and a separate section for the food buffets. 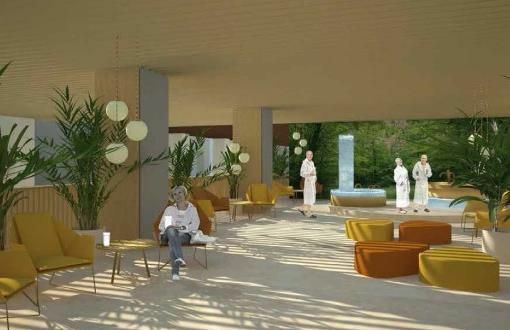 The Drinking Lounge in Zdravilišče Radenci, with the famous mineral water from Radenci, will receive a completely new story, concept, and image, in the spring of 2019. The new Health Lounge will provide guests with a completely new experience of the beneficial Radenska mineral water bubbles. Drinking mineral water from the Healing Spring will become a special moment in the day when you can completely relax and enjoy the healing bubbles. We will fully refurbish the Health Lounge in Zdravilišče Radenci, where you can drink mineral water from the oldest spring in Radenci, treat your hands to a CO₂-enriched mineral bath, ask our medical experts for advice, and relax.